If there was one thing I was absolutely not prepared for in this crazy thing called parenthood, it was this feeling that I sometimes have and desperately want to shake. Now I am sure some people might look at my son's medical situation and think well that's natural, you know... to be a little envious of other new moms and their healthy babies as they walk out of the hospital and embrace their bright, shiny future together. And I agree, when we left the hospital there was that slight pang. In most cases, they were coupled and I wasn't. Their baby was healthy and mine wasn't. The comparisons were inevitable. I tried very hard to just work right around it and for the most part I did. But eventually I stopped visiting a forum that I had been involved with during my entire pregnancy. While everyone seemed to be accepting of my situation and made loving remarks, it just became too much. As time went on the comparisons between their babies and mine were staring at me as if in BOLDFACE. I think I did an awesome job moving on from that experience. Soon enough I found forums for moms like me. I found forums for tube feeders, neck breathers and children with craniofacial differences. Ah, my safe place. At first I was the newbie mom with more questions than answers. But all too soon I became a Pro. It's amazing how many new moms come on board looking for answers to the same questions I had only a few short years ago. I was proud to have the answers and help people. It became "my thing." Then one day I realized that over the past two years I had watched many of these moms come and go. Now they are the moms I am envious of. Yeah I know crazy, huh? 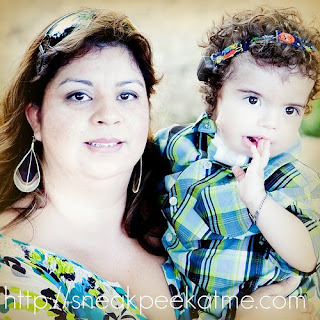 It's not the typical moms anymore, it's the former Special Needs moms. I am a mature, educated woman. I actually consider myself an excellent advocate for my son, you know I blog for awareness and all that jazz. I work hard to promote acceptance for those with special needs among my typical peers. Yadda, yadda, yadda... So I talk a really good talk. But Lord, help me...the truth is in this area, I am weak. For a while there I had to cut back my visits to my "safe places" because I could not handle it anymore. Every time I read about another child getting their tracheostomy or feeding tube removed, I got sad. You know obviously I want to be happy for my friends and their children, but those feelings of envy crept up, right into my safe place. Only difference this time is I was mumbling to myself, "Why NOT my baby?" When I took a step back I realized how much I can learn from them and their experiences. They are now the Pros and I am willing to be the newbie once again. This will always be my safe place and you will always be my friends. What an incredible post. Thanks for sharing. This is such a great post. Your words ring true so true for me, too. Thanks for sharing. Beautiful post, Janis! I can relate in many ways. What a wonderful post. I'm thinking that most of us have felt this way at some point. Beautiful honesty! Janis, love you, gal. You have every right to experience and re-experience grief. In all forms, including envy. I know I do and I try not to beat myself up about it. Sometimes I say: "hello there, old friend grief. New shoes today?" Giving you big ol' hugs and big props, 'cause you are a truly nice person. This is a great post....thanks. Ah, me. Are you reading my heart? I felt the same way when our decann was denied, and we were told "1-5 more years". All the decanns after that just about ripped my soul into shreds because I was so envious (and happy for them) and damn pissed at myself for feeling anything negative in the face of a family who deserved their miracle as much as my son did. Of course, I know that I'm one of "those parents" now ... but in my heart, I am always a special needs mom. In total confession, Janis, I've always been envious of your attitude. I've always thought you had less bitterness and anger about your situation than I did. Maybe yes, maybe no. When the boys are teenagers, we'll sit down in Napa and figure it out. Aww, you guys thank you so much for your understanding. I am always a little worried when I put something like this out there. This really is my safe place!! This woman is incredibly cool! She tells it like it is! I would love to know her! Great post. To me this is one of the best parts of the sucky "special needs mom" is helping those that have just begun there journey through it...and hopefully make it a little less hectic, or worriesome, or stressful for them....then it was for me. so honest and true. I also suffer from envy. An ugly emotion, but it's the truth. Janis, you know I already love you on twitter and your blog. :) I feel that I can TOTALLY agree with you. I have days where I'm fighting for Jillian until I'm blue in the face. There are other days that I can't help but think "But what about???" and "When will we get there??" Thank you for sharing Janis. I look up to you more than you know, and I know our children have different "ailments" but you're still a strong mommy.